December was a good month for the Department of Art and Music Histories (AMH) in the College of Arts and Sciences, as two of its assistant professors made their authorial debuts. 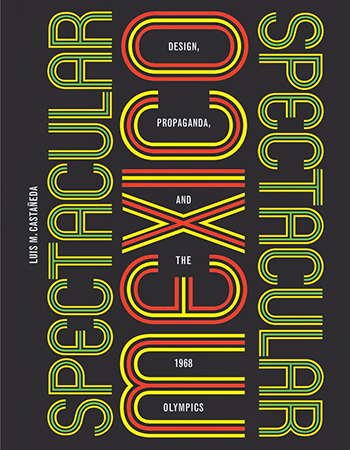 Luis Castañeda, an expert on urban, visual and design culture in the Americas, is the author of “Spectacular Mexico: Design, Propaganda and the 1968 Olympics” (University of Minnesota Press, 2014). 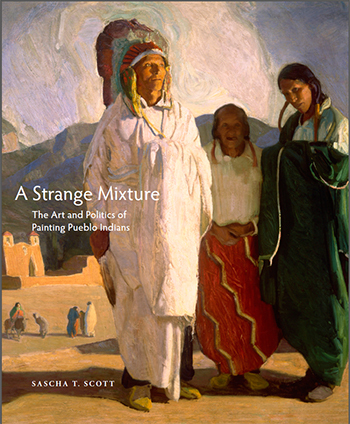 Sascha Scott, a specialist in American and American Indian art, has written “A Strange Mixture: The Art and Politics of Painting Pueblo Indians” (University of Oklahoma Press, 2015), due out in February. Castañeda studies how objects, spaces and images have influenced social and geopolitical transformations in Latin America across time, especially in the context of global media events. In “Spectacular Mexico,” he analyzes the creative run-up to Mexico City’s 1968 Summer Olympics. These Olympics were only “the most ambitious of a sequence of design projects” that also included the creation of sports venues, a subway system and pavilions for world’s fairs. Throughout the book, Castañeda demonstrates how these projects were used to create a spectacle of social harmony and, ultimately, guide Mexico City into becoming the powerful megacity it is today. Like Castañeda, Scott is relatively new to AMH, having joined the faculty in 2008. “A Strange Mixture” looks at how native and non-native artists have used art to address some of the most pressing political and cultural issues of their day. Scott focuses on the work of five early 20th-century artists: Ernest L. Blumenschein, John Sloan, Marsden Hartley, Awa Tsireh (San Ildefonso Pueblo) and Georgia O’Keeffe. With each artist, she examines how his or her work shaped or was shaped by American Indian politics during the interwar period (i.e., 1915-30), when federal Indian policy shifted away from forced assimilation and toward preservation of native cultures. These artists helped to change political landscape, in part, by reshaping public opinion about native peoples and cultures through their art and activism. “What’s fascinating and discouraging is that the political and ethical struggles of indigenous peoples in the 1920s and ’30s are still relevant today,” says Scott, who, along with her family, spent more than a year touring the country as she completed her research for the book. Scott, who earned a Ph.D. from Rutgers University, is also on the faculty of native American studies.